You landed on this page because you value yourself and your health. More and more studies are showing the benefits of fasting, it can even trigger stem cell regeneration of damaged, old immune system cells. 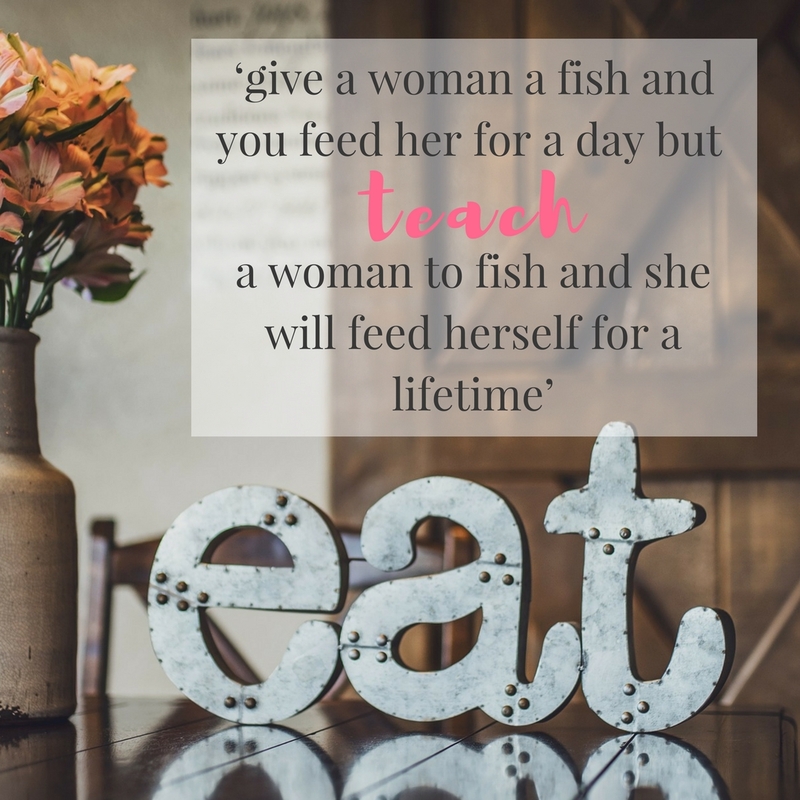 Wouldn't it be wonderful if you could have all the information with the support on how, when and why to fast and feast in one cute cosy place of empowerment? AND be able to adjust it to how you flow? Spoiler alert - You totally can! These last two videos really touched my heart... thank you Khush and all you beautiful women out there, thank you for all the information and for being on this journey together, I feel like it has only just begun... I feel so much better, I haven't lost weight (which is perfect as I am slim), I still had some hot flushes at night, but I am somehow convinced, they will go eventually as I feel like a different person... I am enjoying the clarity, creativity and energy and most of all: kindness towards myself. When I signed up, I did it to lose weight, sort out my liver issues and basically get my life back. I had no idea that I would get so much out of the course. You explain each subject clearly and I loved the mind-body connection videos! WOW! I used to be told to love my body, but when I knew my large body was insulin resistant with a fatty liver, how could I carry on loving a 'sick' body. 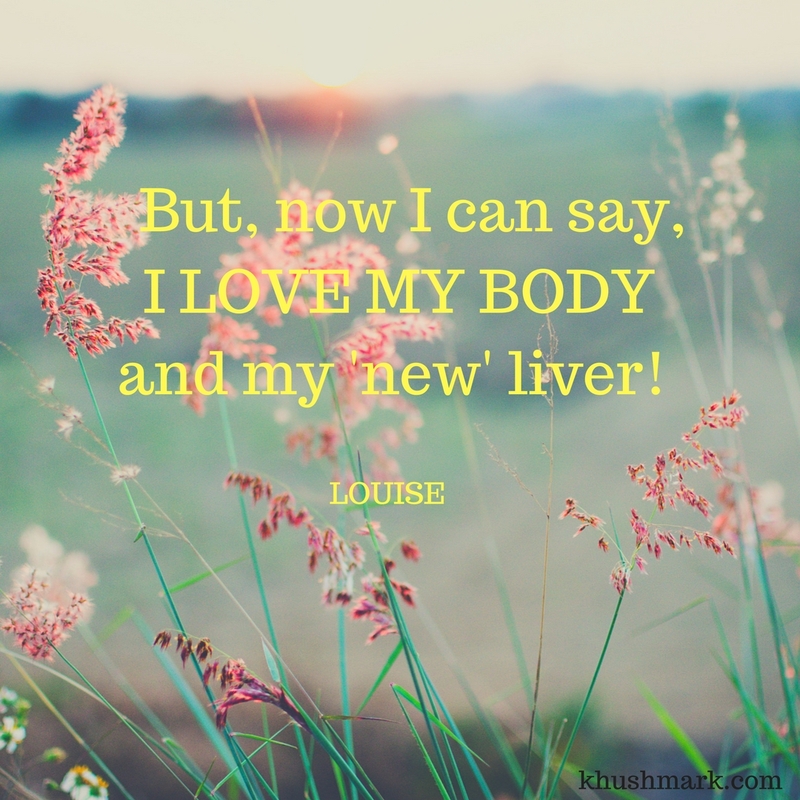 But, now I can say, I LOVE MY BODY and my 'new' liver! I had picked up so many 'myths' about nutrition, which your course totally shattered and clarified. Thank you Khush Mark! Yesterday, I ran again. I didn’t run fast. In fact I think some fast walkers could have passed me. But I ran a couple of miles. And I did the same and more today. And what has made that difference to my energy levels has been 'fasting and feasting'. I’ve done a month long course with Khush Mark and my body has altered. I have energy where before I had none. 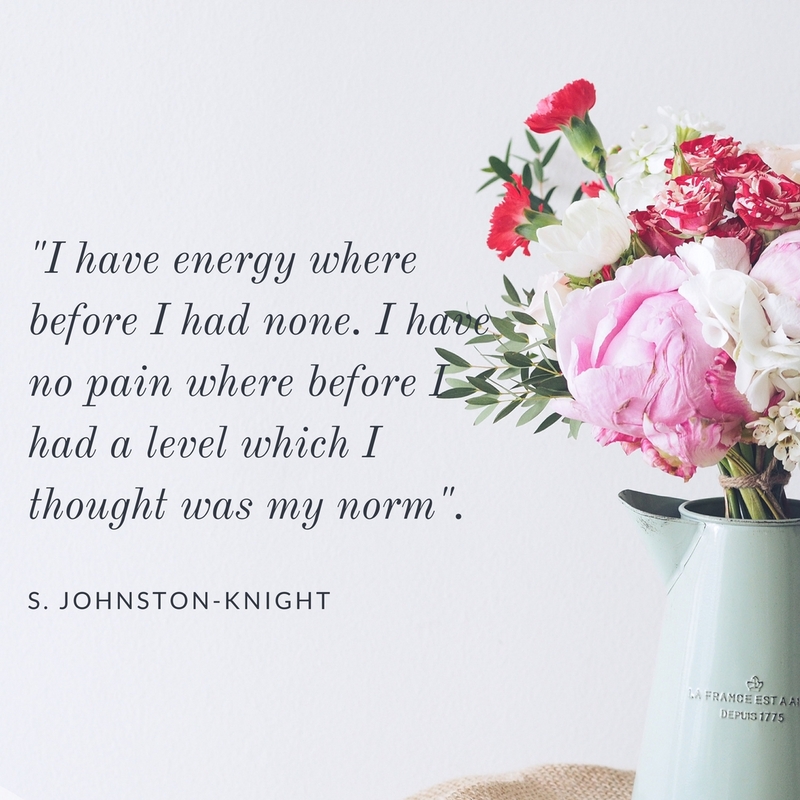 I have no pain where before I had a level which I thought was my norm. This has been the last bit to heal for me. I’m facing the year 2018 with a new vim and vigour! Highly highly recommend this course. I'm doing it right now and it's giving me the health breakthroughs that I've been looking for, for years! And losing weight I thought that menopause would never let me lose! I have done other courses but this one covers way more than any of the others. I have learnt a lot from your course. I must say you are a great teacher. I really look forward to the videos every morning. Since I started the course, I have more energy and am able to concentrate better. I have more time on hand too. It made so much more sense to understand the correlation of the macronutrients and how important they are. I loved the way you explained the minerals. Never thought they were this important. I will incorporate this learning with my clients surely. This course also taught me how to empower people to take care of their own health. Your passion brings everything so alive. For me, personally it’s been about new beginnings and health. Thank you for putting the course together. In WEEK ONE, you will hit the road running, the fasting will start and you will be discovering how your body communicates with you. 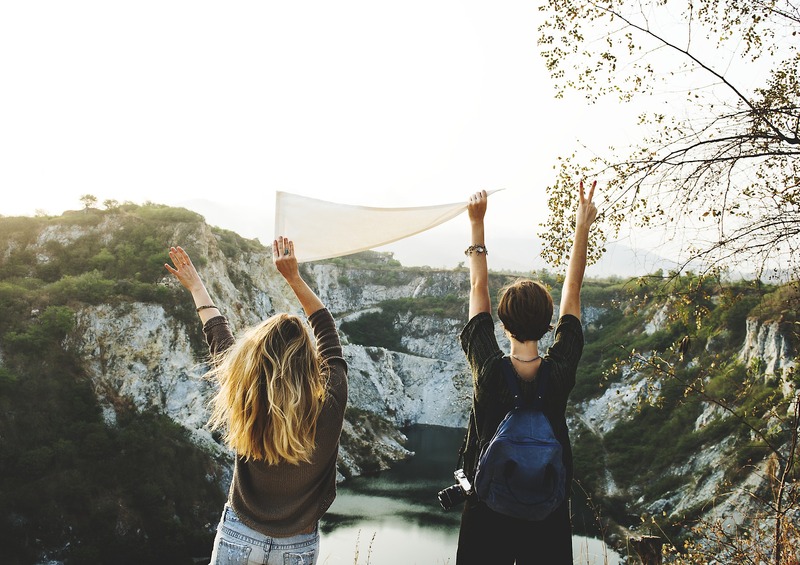 As you start to understand your body, in WEEK TWO you will dive in and start to feast in such a way that you will be nourishing BOTH body and mind from the practical and educational videos of week 1 and 2. Psssst. 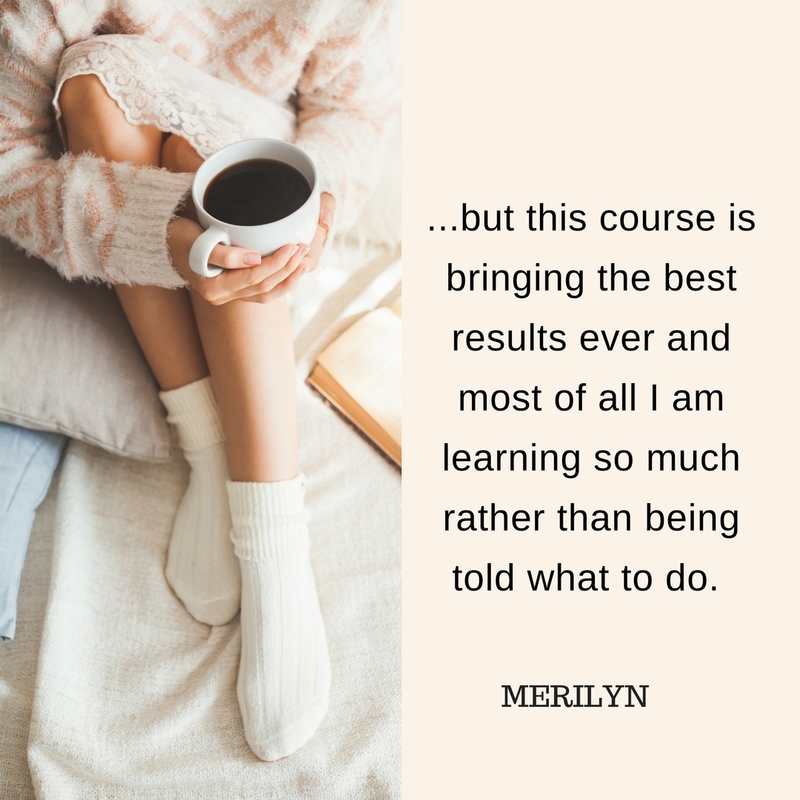 The myth-shattering education during this course is key for your well being as you will be able to make sound decisions on what you put into your body from now on. BE WARNED your doctor may lose you. There is no time to look back, it is ONWARDS AND UPWARDS from now on. WEEK 3, you will be learning how to 'ride the waves' as your body literally starts to 'throw out the junk'. As the de-cluttering continues, your body will be communicating with you. It's a wonderful new experience and YOU WON"T BE ALONE, support is provided all the way through. In WEEK FOUR, you will venture further into your body's own 'spark plugs' and also learn how to continue on this journey. Rest assured your journey has just begun and you will never look back. This e-book is filled with over 40 great healing recipe ideas for vegans and non vegans. The meals are quick and easy to prepare with a focus on gut healing, liver support, detox, anti-inflammatory as well as blood sugar balancing and skin cleansing. During the 30 days there is ongoing support in the private FB community by me (Khush). During this course you may experience healing, detoxing and changes in your body as you progress. I will be there to answer any questions related to your journey as you feast and fast. 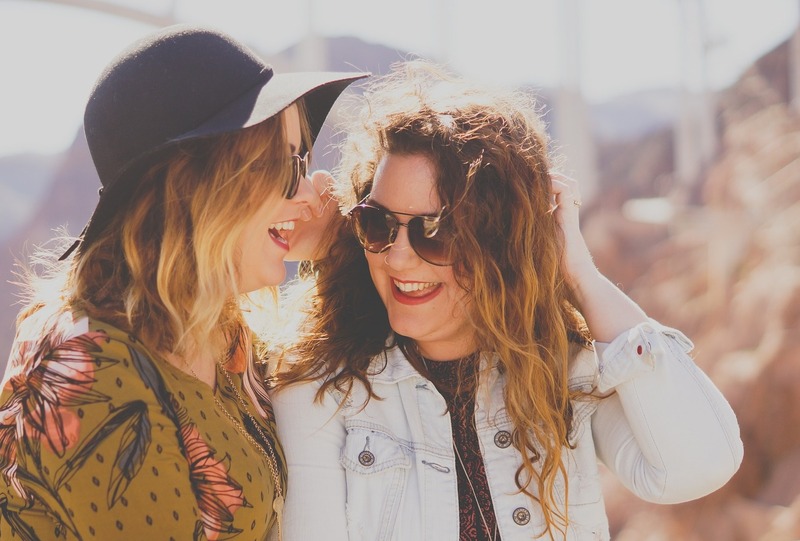 Learning has to be fun as well as empowering, so you will have access to my unique resources where I share my precious health gems. Through using these, you will learn EVEN MORE about how your body 'ticks'. After all, no one else has your individual biochemistry.